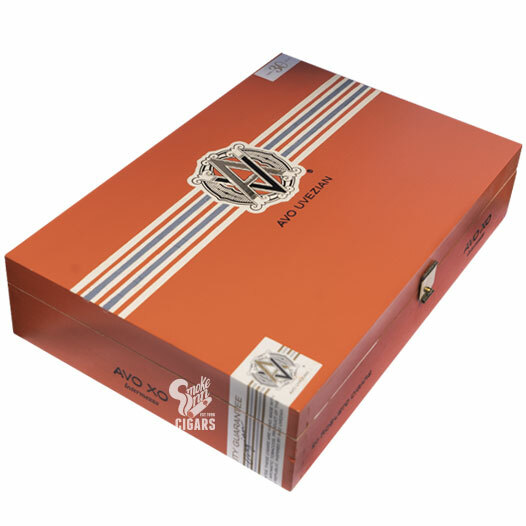 AVO XO ranks among the oldest, most premium offerings from AVO Cigars. As the title intimates, the cigars are named for the aged tobaccos (XO, i.e. "X-tra Old") contained within the blend. As with all AVO cigars, the XO is hand-crafted in the Dominican Republic under the care of famed cigar artisan, Hendrik “Henke” Kelner; made at his prestigious Oettinger Kelner Cigars factory. The blend is among the more mild experiences from AVO, utilizing a special sun-grown Ecuadorian Connecticut wrapper over aged Dominican binder/fillers; containing leaves aged for a minimum of six years. The final blend is equal parts delicate and complex, showing a soft and refined experience that the ardent enthusiast will fully appreciate (newcomers may also be drawn to the AVO XO for its mild character). Expect carefully calculated nuances of bread dough, buttered crackers, citrus, sweet cedar, sage, and mountainous pine.